← Sexiest electric car – TESLA! Ride of the future. One of my favorite website with recycled gold and conflict free diamonds. So beautiful and you can easily learn where it all comes from. Learn how Brilliant Earth guarantees the ethical origin of our jewelry and about the conflict diamond trade. Deepen your understanding of precious gemstones and metals. Find out how you can get involved and help. Visit Brilliant Earth for more info. 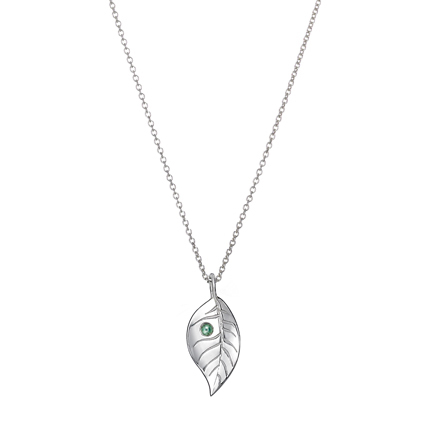 This sterling silver leaf shaped pendant sparkles with a green ethically sourced sapphire. 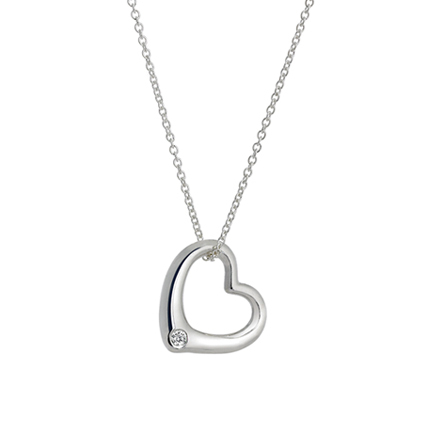 The pendant is gracefully suspended from a delicate sterling silver cable chain. Metal mining – and gold mining in particular – is one of the most environmentally destructive types of mining, with 20 tons of ore required to produce enough gold for a single ring. Many gold mines also release cyanide and mercury into nearby water sources and are associated with poor safety standards, inhumane labor practices, and disregard for the rights and interests of indigenous peoples. Brilliant Earth’s reclaimed metals come from numerous post-consumer sources, including existing jewelry, industrial-use metals, and electronics components. Every piece we cast is made with 100% recycled and re-refined precious metals. Because our reclaimed gold, silver, and platinum are re-refined back into their pure elements, they are of identical quality to newly mined metals. 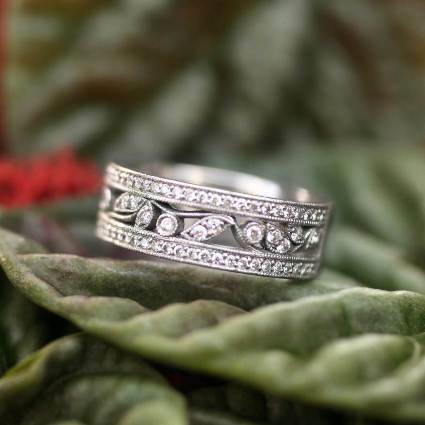 Whenever possible, we select findings (pre-fabricated sub-components found in certain pieces of jewelry) made of 100% recycled metals or we cast findings ourselves with recycled precious metals. 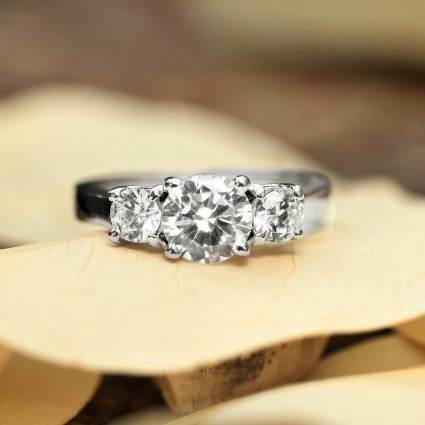 Brilliant Earth also encourages our customers to recycle their own gold and platinum jewelry that they no longer wear. We will gladly accept and recycle any gold or platinum jewelry, and will offer a credit towards any Brilliant Earth purchase of equal or greater value based on current metal prices. Please contact us for more information. 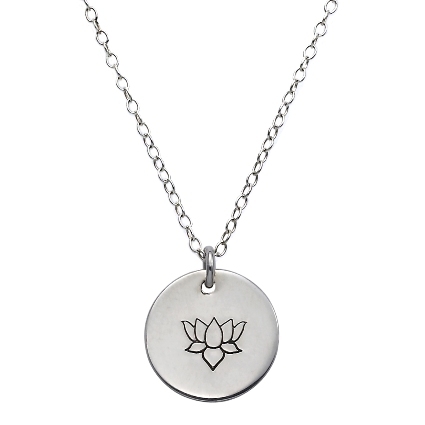 Brilliant Earth is also offering a limited edition gold pendant made from one of the first sources of independently certified fair trade gold. For this pendant, we have partnered with Oro Verde, which specializes in gold responsibly harvested from cooperatives in the Chocó region in Colombia, South America. In addition to paying a fair wage, the fair trade gold cooperatives ensure the use of environmentally responsible practices. The cooperatives do not use harmful chemicals, they restore ecosystems damaged by other mining companies, and they work to promote the well-being of local communities. Brilliant Earth is fully committed to responsible environmental and labor practices — right down to our eco-friendly packaging. Your expertly crafted jewelry arrives in specially designed, environmentally friendly packaging for safekeeping for years to come. This entry was posted in diamonds, for her, gift, global warming, going green, recycle, recycled gold, Valentine's day and tagged 14 of february, eco-friendly, environment, going green, green, save the planet, Valentine's day. Bookmark the permalink. 1 Response to Valentine’s day ideas!